Sometime in 1975, after the events of Peace Walker, players take control of Snake as he infiltrate an American black site called Camp Omega in Cuba. This sandbox location doesn't answer to Cuban, American or international laws. His main objective is to find and extract the Cipher double-agent, Pacifica "Paz" Ocean and the Sandinista child soldier Ricardo "Chico" Valenciano Libre who are currently being held captive in the base's notorious prison camp. Welcome to the unofficial guide for Metal Gear Solid V: Ground Zeroes. Please use the menu on the right to navigate. 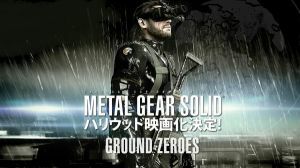 No discussions open for Metal Gear Solid V: Ground Zeroes at the moment.